Special opportunity for San Francisco Bay area Kimchi Mamas! Looks like Shin-Soo Choo is coming to town with the Cleveland Indians, and there will be some special entertainment and giveaways. Jomama and Mary Choi have already booked their tickets--hope some more of you might join us! 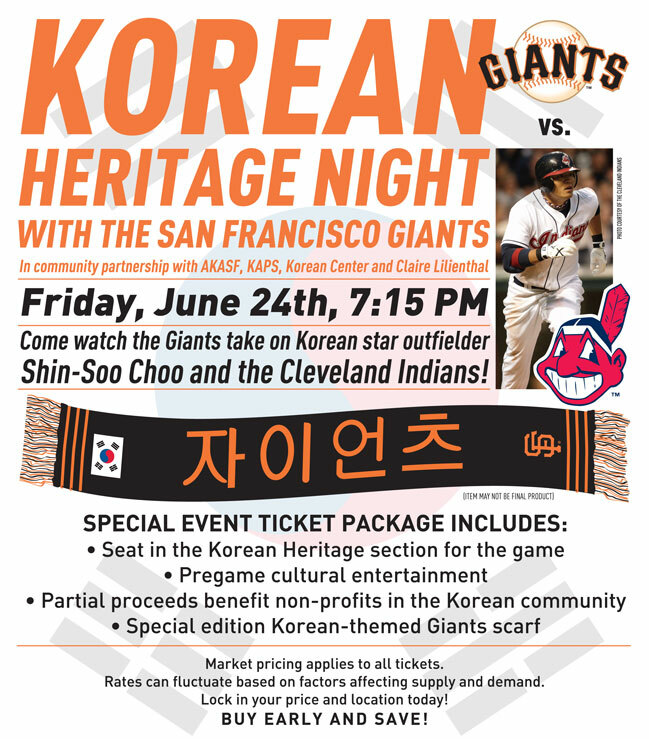 Some of the proceeds will be supporting local Korean groups, like AKASF (which I have recently joined, but not yet had the pleasure of meeting), KAPS, Korean Center, and other community groups serving Korean populations in the Bay Area.